Designed for cameras having pixels as small as 3.45 µm, this quality C-mount lens performs well when combined with Sony Pregius 2, 3 and 5 MP sensors. 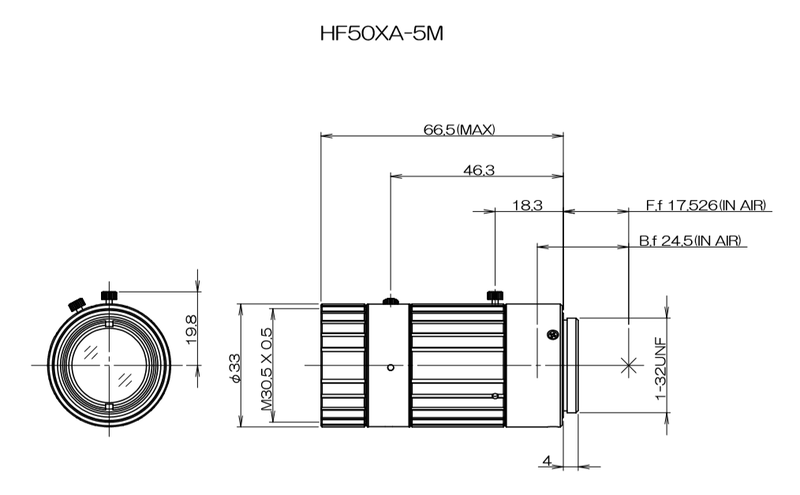 The 3.45 µm resolving power is achieved at a 500 mm working distance when combined with a sensor up to 2/3 format. It maintains at least a 4.4 µm resolving power at other working distances and aperture settings, even in the image corners. Expect a resolving power of at least 4.5 µm when combined with image sensors up to 1.1 format (17.6 mm). 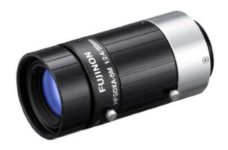 Fujinon's precision focusing mechanism has roughly 310 degrees of rotation, making for easier focus adjustment than many otherwise competitive lenses. Thumb-screws lock down both focus and aperture. The clever design lets you choose three possible locations for the thumb-screws, ensuring they stay out of the way while remaining accessible. This lens has a short Minimum Object Distance for a 50 mm lens, enabling design of more compact imaging systems.